Now that my girls are getting older, we decided to get them new beds. The bunk beds were fine for when they were younger but we felt that they now need a more substantial mattress and a more ‘grown-up’ bed. We took a trip to IKEA and decided on a bed that we all liked. Once the flats had been delivered, my husband set out to build the beds. He used our dining table to set out the things required to join the planks. We chose beds that have three drawers at the bottom thus giving the girls more space to store their clothing. My husband began with these before building the frame of the bed. My youngest daughter was my husband’s assistant for the day. Not only did she hold planks in place but she learned the task of figuring out how to put the pieces together. 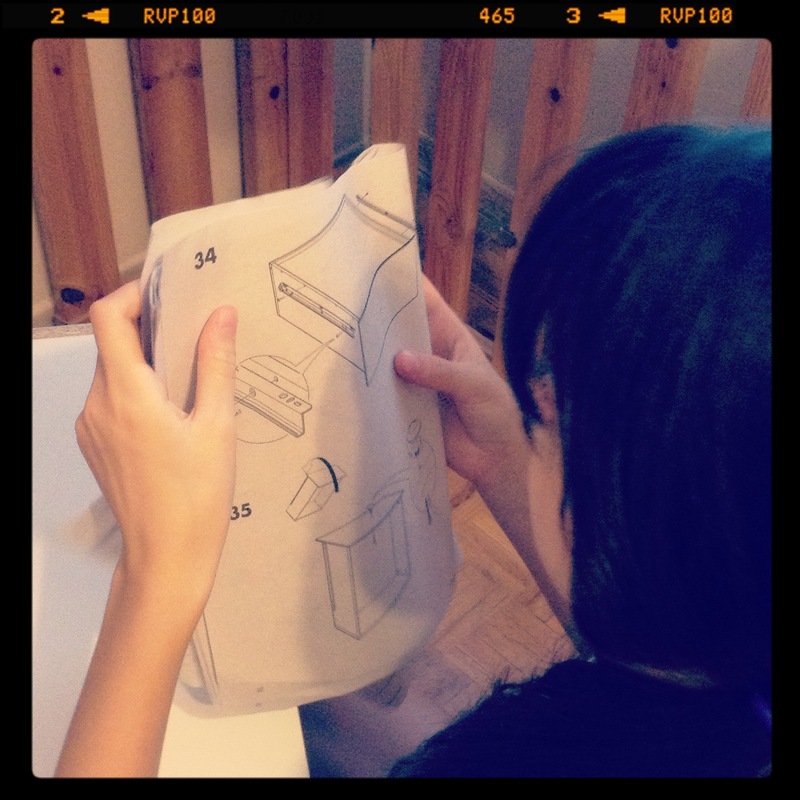 My daughter became quite adept at reading the pictorial instructions that IKEA gives to the customers. 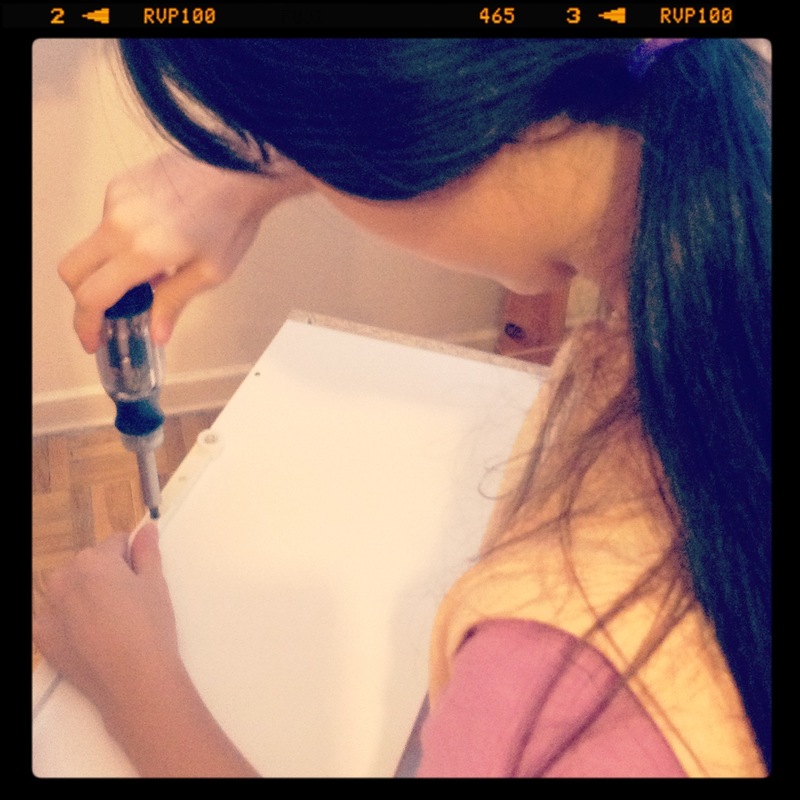 She also came to enjoy the task of screwing the wooden pieces together. I am grateful to have a husband that is handy – and who enjoys doing these tasks around our home. In addition, I am thankful that he is willing to show our daughters how to tackle the task of putting furniture together. A really good team effort, Colline. 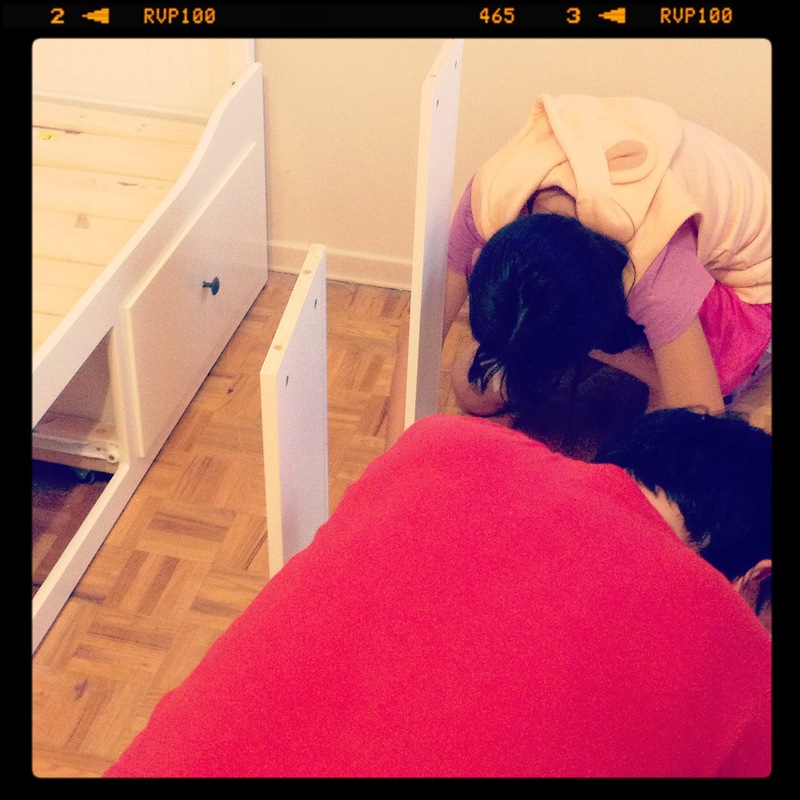 Your daughter will enjoy her new bed even more, because she helped to build it. My husband put together two – one for each of our girls. They are loving it. The bed has become a space on which they can cuddle and read their books – and just relax. Thank you Scrapy for your contribution this week. I love it!! Family and projects. So many times in life we take the easy way out. Opening a large box of furniture from IKEA can be disgustingly disturbing when you accidentally break open the entire kit of screws. Home handymen/ handykids are way underated and most of the time not used enough. 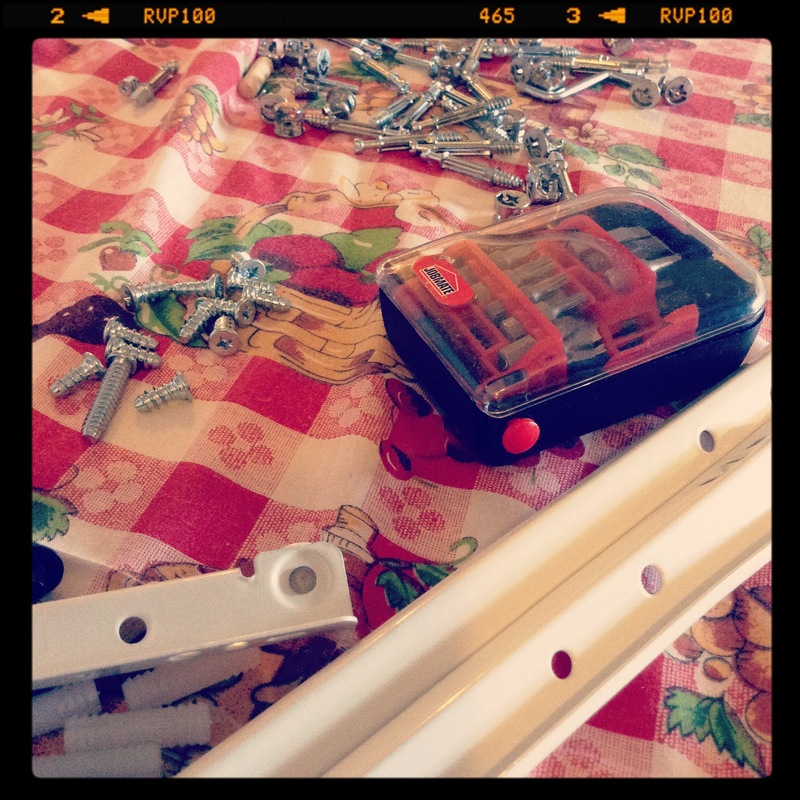 As a professional handyman I encourage all to learn. Anytime I can help please ask. God bless you and your family. My husband takes extra care when opening boxes, cutting wood, and choosing the correct size of nails. He should have been a carpenter as he enjoys working with wood and building things. I love Ikea. We could have used his help when we put our bookshelves together. That was comical. No one will ever call my handy 🙂 Have a great weekend! 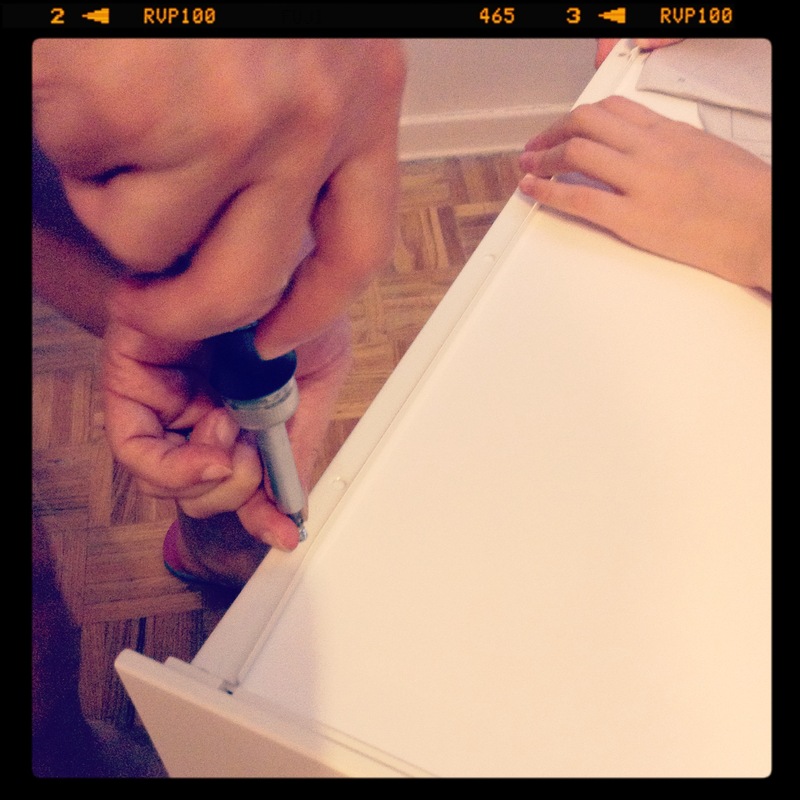 Cheers to IKEA … and to the patience assembly requires (at times). Grateful for the week? … The return of DWTS …. and more importantly, even with all the bad news in the world, I still believe the majority of the world is good. Nearly all our stuff is from IKEA, so we have good routines when it comes to assembling furniture. Great team effort all round, your daughter will appreciate it all the more knowing her efforts contributed to the end result. Unfortunately for me, being a handyman is not one of my fortes, opening the envelope with the instructions inside is quite a problem.